The Florence Presbyterian Community offers a variety of apartment floor plans, ranging from 370 SF to 880 SF. 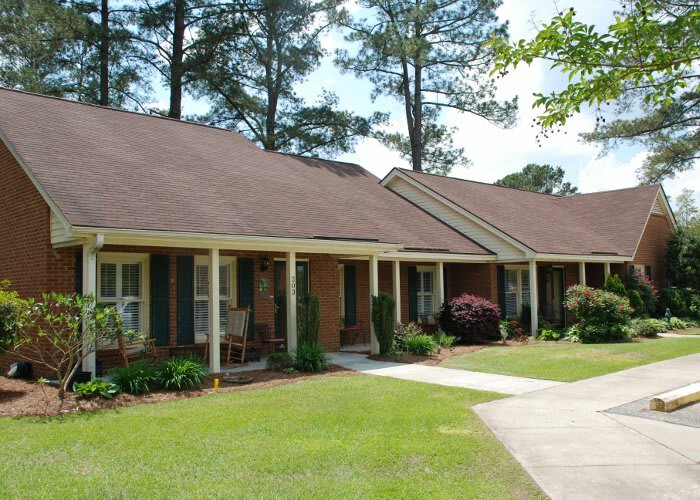 Our private apartments for seniors in Florence, SC, are conveniently located in the main building to help you stay connected to your community while still enjoying the peace and independence of your own living space. You can prepare meals and snacks in your full kitchen. Host friends and family in your living room. Or just spend the day in peace or quiet reflection surrounded by your own familiar home furnishings. Surrounded by the camaraderie and friendship of an intimate community, and with the help and support of skilled senior-care professionals, residents of our community are encourage to live fully each day with purpose and joy, no matter which home option they choose. Contact Florence Presbyterian Community today to schedule a tour of our floor plans.